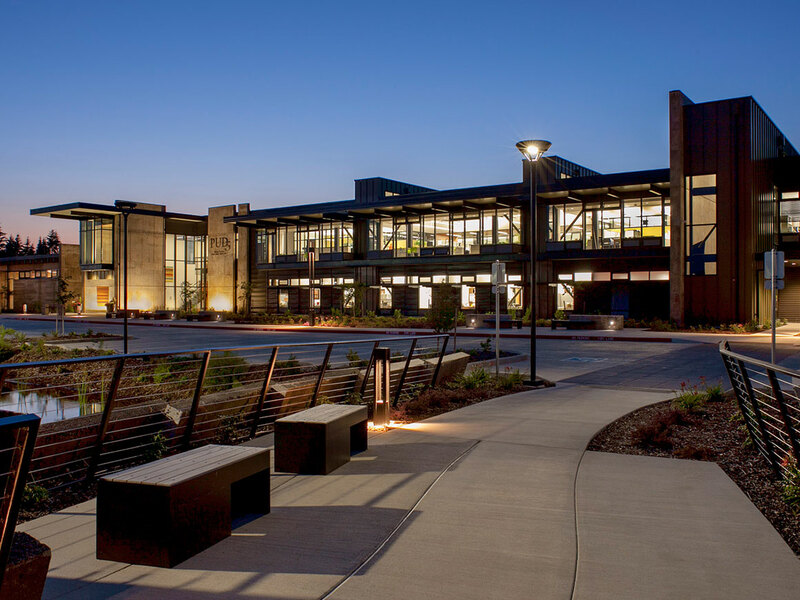 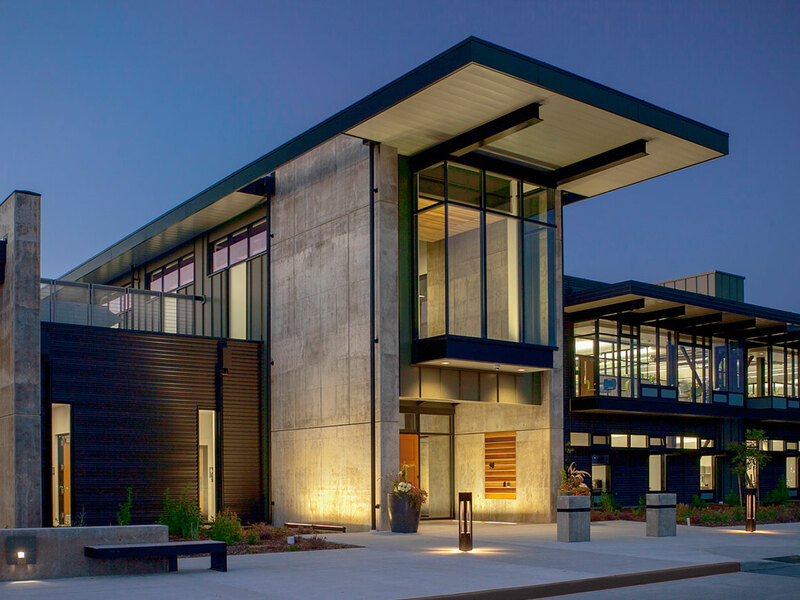 This 50-acre, LEED Gold campus, with a future goal of Net Zero Energy, houses three Mason County PUD warehouses, field operations, vehicle maintenance, and administrative functions. 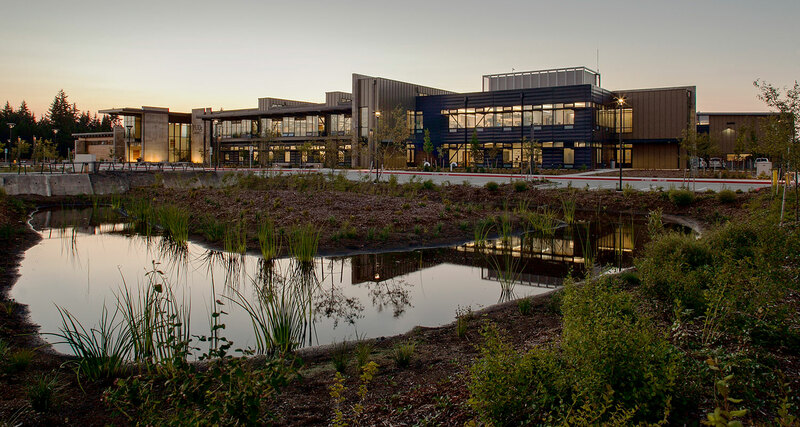 An interdisciplinary collaborative process with the architect and civil engineer generated site stormwater management facilities that harvest 20,000 gallons of rainwater for irrigation. 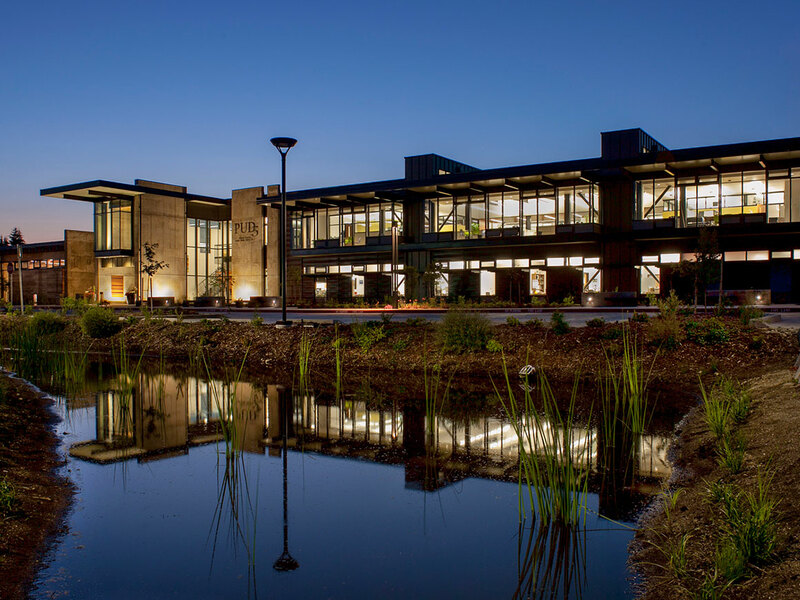 Native plants throughout the site help meet the project’s sustainability goals, expand protective habitat for native fauna, and provide seasonal color in flowers and foliage.